New stuff at the shop! There is a new gacha and remake now available at the main store! 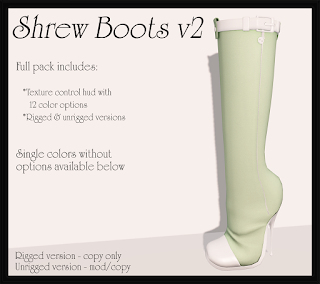 There are 52 different texture options, 4 of which are rare. In addition to the rares having special textures, they also come in packs of TWO. One version which just spins (like the commons), and the other is an interactive version that can be wound by a second person. Once the time winds down, your avatar slips down to the floor until someone else winds you up again! You also have the option to tint the heart, as well as set it to glow at 3 levels or not at all! 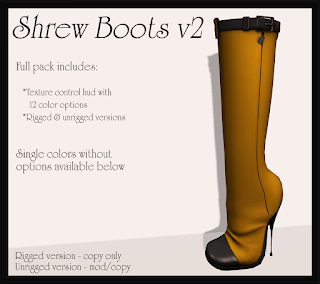 The second release is a remake of an older sculpted pair of boots, called Shrew Boots. They have had a complete redesign, in addition to being done up in mesh! You can buy single colors, or a scripted pack! 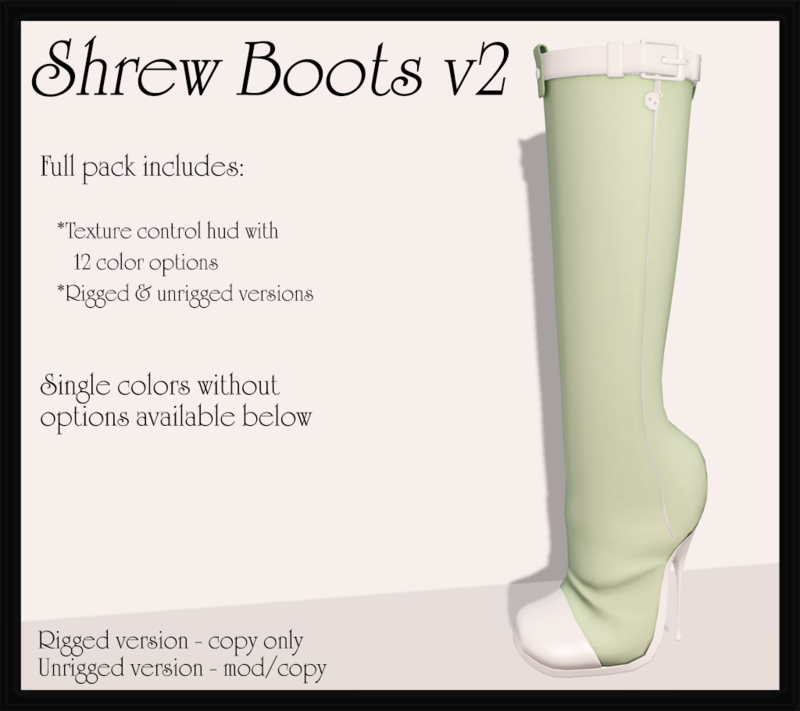 Each pack or single comes with standard sizes (rigged) as well as an unrigged version. Don't forget to try the boot demo before you buy. Click on the large sign (shown above) and choose the demo option!